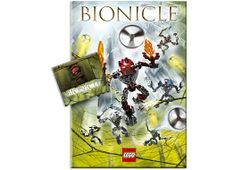 K2356 Bedcover Toa Hordika Size 2 CE is a BIONICLE bedcover released in 2006. It features all of the Toa Hordika. Facts about "K2357 Bedcover Toa Hordika Size 2 CE"
This page was last edited on 9 January 2016, at 23:38.